It’s always fun to play the guessing game about comic book movie plots based on the carefully selected tidbits of information that studios decide to disclose in the months leading up to the project’s release. The Wonder Woman sequel is no exception. 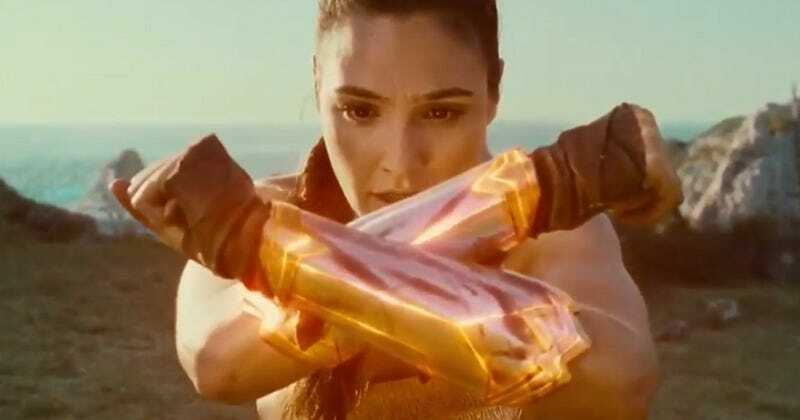 Today, DC Entertainment president and Wonder Woman producer Geoff Johns gave us a totally radical clue to where the Amazon warrior is headed next. We’ve known for a while that Wonder Woman’s next solo film is going to be set in the 1980s, and that Kristin Wiig’s Cheetah will be at least one of the villains the demigoddess faces. But the latest revelation from DC and Warner Bros. lines up with those domain names we saw them registering recently. Johns popped onto Facebook and dropped an ominous photo featuring the characters “WW84" typed across a black background and distorted like a flickering image from a Betamax tape. A lot of things worthy of Wonder Woman’s attention happened in 1984. Reagan called for a ban on nuclear weapons, the virus that causes AIDS was formally identified by the Department of Health, and Michael Jackson’s hair caught on fire while filming a Pepsi commercial. Oh yeah, and lots and lots of great music and movies were released. There’s really no telling just what, if any, real world events Diana’ll get involved with in Wonder Woman 2, but hey—hit us with your best theories.